Say Nothing, Act Casual: Close encounters with stick insect poo. Goodbye amazingly cheap entry fees. Goodbye dinosaurs and dodgy 40 year old butterfly, birds and bug exhibits. Goodbye freakish skeleton room and enormous whale skeleton in the foyer. 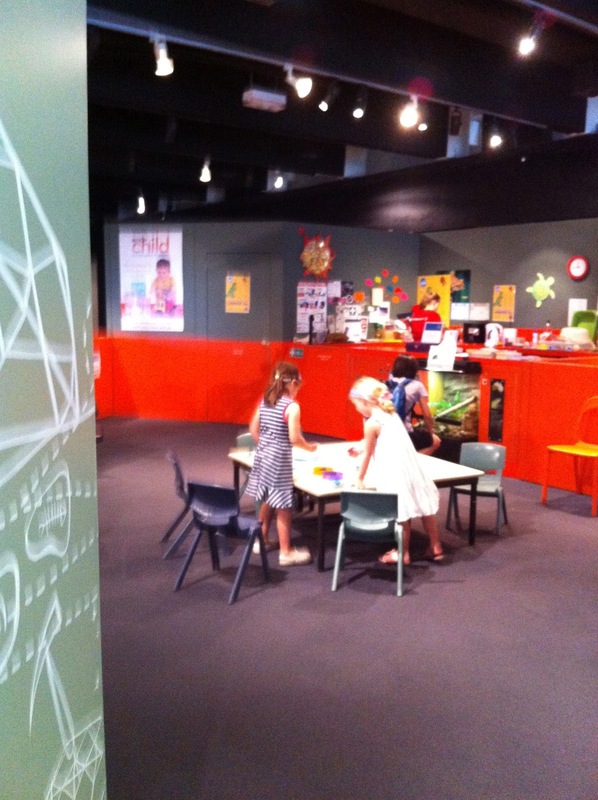 Yes, it's time to say goodbye to the Australian Museum. It's OK, the Museum is going nowhere. It's us that are moving on, for now. I first discovered the Museum through my mother's group when Sarah was about 3 and Josh 1. We loved it. It was so simple, old fashioned and fun. Sometimes there were cool exhibits. We used to sign up for workshops. We came for face painting and craft sessions. It was the scene of Sarah's biggest ever tantrum when she levitated out of the pram despite being strapped in and nearly ran across William St. There was a time when we would visit at least once a term. Now we're lucky if we go twice a year. Today I took two five year olds. They looked big. Too big to be there compared to the little kids. They played in Kidspace, did some craft, they felt up stuffed birds, they drew pictures of mythological creatures (don't ask). Lots of pods with interesting kid stuff inside. They were grossed out by caterpillars and flies. They were terrified by the dinosaurs. 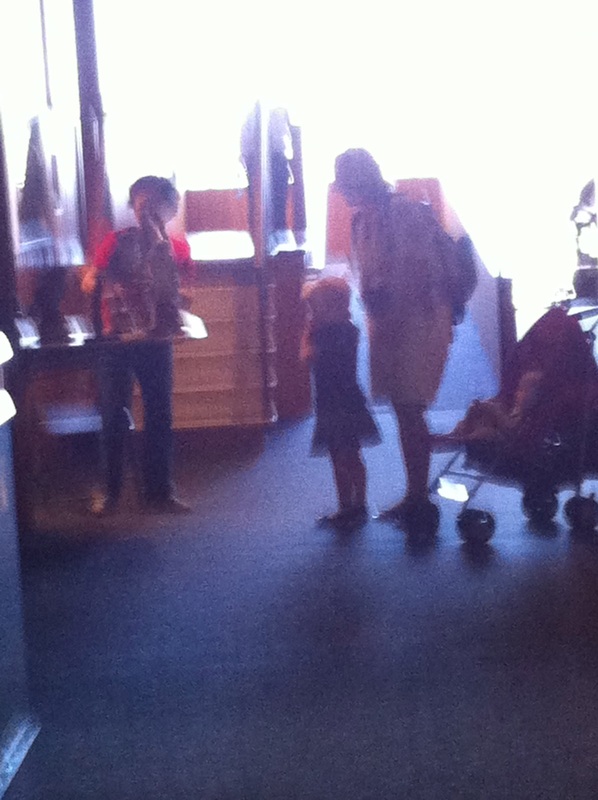 Is it just me or is that dinosaur exhibit seriously scary? I remember taking 2 year old Josh and 4 year old Sarah and tiny Issy and the two older ones being so petrified they ran screaming down the stairs. Where I couldn't follow, because I had a pram. I had to take Issy out and walk down the stairs to find them, and then coax them back up just long enough to get the pluck out of there via ramp. Nothing has changed. The fake roaring and thundering undid them after a few minutes, and the simulation of the Winton stampede was the last straw. Out we went, to look at enormous models of the huge mammals that used to roam Australia and all the things that can kill you in this fine, wide, brown land. More scary. Finally, for something completely non threatening, although a bit weird looking, we went and had a look at the stick insects (phasmids, strictly speaking). Next to them, on a table was a shallow tray filled with what looked like (and was) a lot of phasmid poo. So far, so boring. BUT, caught up in all this excrement were phasmid eggs, and we, the museum visitors were charged with the job of separating the tiny eggs from the crap with tweezers. There were pictures of the eggs so we knew what they looked like. This caught the attention of my companions and for at least 15 minutes they sifted through poo, searching for eggs. Poo sifting. I wouldn't believe it if I hadn't seen it myself. They found one egg. At least we think it was an egg. They got so excited. And I added another unexpected activity to the list of things that kids like to do. And so, we left behind the slightly dodgy displays, the stuffed animals, the eggs, the skeletons and the rocks and crystals and ended another era. 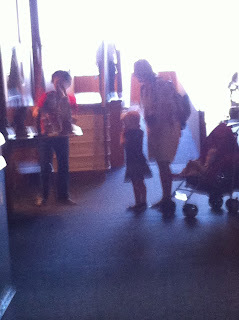 An extremely poor shot of kids feeling 20 year old stuffed birds with hardly any feathers left. Lately there have been too many last evers. This last term is very emotional.